On Sunday Aug 5 we began a new preaching series based on the Old Testament book of Ecclesiastes. It is a troubling book in many ways because the writer is asking questions about the meaning of life. Although written centuries ago, Ecclesiastes is a very contemporary book. This would be a great series to invite a guest to come along. 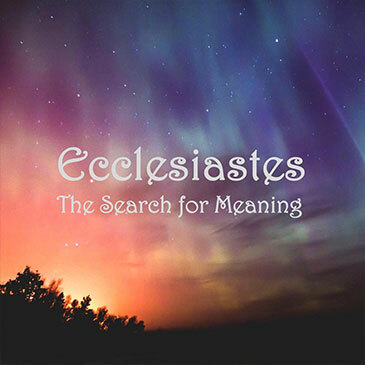 Ecclesiastes is one of the Wisdom Books of Hebrew Scripture, along with Psalms, Job, Proverbs and Song of Solomon.